Now, with 3M Essential Zirconia, you can rest assured that you sourced your materials from a trusted industry leader. 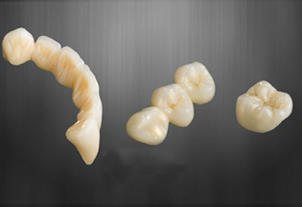 Check out how this new, cost effective zirconia stacks up. It is made up with CAD-CAM Technology. It is all ceramic and metal free with remarkable strength (greater than 1000mpa and strong enough for clinical situations with small occlusal eduction of 1.2mm. Excellent marginal fit. Limited 5years warranty. Lava Zirconia restorations are an ideal alternative to porcelain-fused to metal (PFM) restorations. The zirconium oxide achieves the beauty and translucency of natural teeth. Over time metal restorations can leave a dark metal margin where the gums recede. With lava zirconia it produces strong durable restorations and retains its original beauty for years.It is much better alternative for those patients who have concerns about metal.